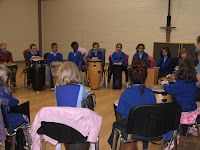 We went to our first drumming lesson today with Alan. We had a drum each and a stool to sit on. We did warm-up exercises first. 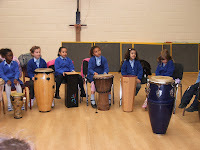 We had good fun beating the drums.